We are an international training and consulting firm specializing in high performing work teams and servant leadership. We approach our audiences through keynotes, executive coaching and training seminars on personal and professional growth. We incorporate experiential learning, group discussion, and results-driven lectures in our training and coaching methods. Jane received her Bachelor of Science and Master of Arts from The Ohio State University. She has done doctoral work at the University of South Florida and has been an adjunct professor at the University of Dayton, Wright State University, Sinclair Community College, and Miami University Ohio. She also served as the Associate Director of the Antioch University McGregor Organizational Institute. She is currently an Affiliate of the Fowler School of Business & Executive Coaching. 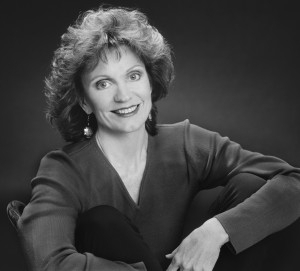 The author of seven books, Jane uses both the podium and her expertise to promote personal and professional excellence. Her best-seller: How To Love the Job You Hate, has been profiled in Forbes, The New York Times, The Chicago Tribune, USA Today, The National Enquirer, Guideposts, SELF Magazine, and on CNBC, CBN, CNN. Jane is a recognized authority on workplace issues. She is also a nationally syndicated newspaper columnist appearing in business journals throughout the country. Jane worked with at-risk youth before beginning her professional speaking career. This Fortune 500 Certified Speaking Professional (CSP), Master Business Coach (MBC), corporate trainer and consultant has worked with organizations such as: Medical Group Management Association (MGMA), the United States Senate, Energy Transfer, American Association of Healthcare Administrative Management (AAHAM), Western CPE, Antioch University Midwest, Toyota, Prudential of Europe, Department of the Navy, United States Air Force, FDIC, and the International Association of Hispanic Meeting Professionals (IAHMP). She has shared the platform with such notables as Senator Orrin Hatch, Bernard Siegel, M.D., former Nevada Governor Kenny Guinn, Coach John Wooden, “Life is Good” founders Bert and John Jacobs, and Attorney Tom Mesereau. Jane is one of the most dynamic women on the speaking circuit today. She was awarded the Certified Speaking Professional (CSP) designation by the National Speakers Association. Fewer than 8% of all professional speakers hold this distinction. She has also earned the Master Business Coach (MBC) credential from the Fowler School of Business & Executive Coaching. Only 5% of executive coaches worldwide hold this designation.